Stunning 9th Floor Ocean View-3bd/3bth-Upgraded!! Please make sure you CHECK OUT the Virtual Tour by clicking on the 'Video' tab on the top left above the main picture and EXPERIENCE a Padre Perfect vacation home! 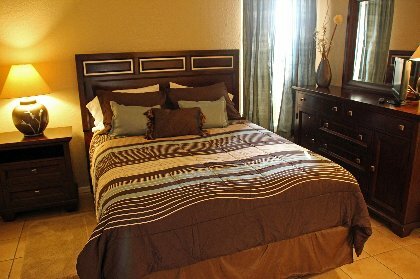 Read over 100 reviews of guests who found this condo to be more than could have asked for! ALL NEW JUNE 2014 condo upgrades after already completing BRAND NEW 2013 KITCHEN upgrades to state of the art stainless steel appliances, new balcony furniture and more! Your beautiful newly renovated 9th-floor condominium at Saida Towers delivers by giving you beach & resort benefits with a view that cannot be beat! The #1 comment we read in our guest book is that our condo helped make their vacation special; read-on and find out why it will bring the same to you! 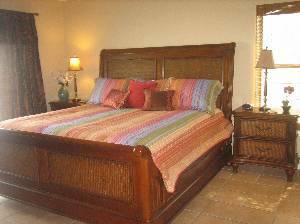 -Beds in every room that are so comfortable you may not want to get out of them! -3 Large Bedrooms w/ 1 King + 2 Queen Beds + Sofa Sleeper, Sleeps 8 Very Comfortably, Ocean and Bay Views, black-out curtains in every room. 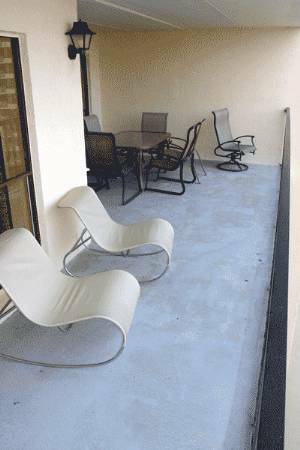 -VERY large 9th floor balcony that seats 8 and has unbelievable ocean and resort views + massive BBQ grill and new zero gravity chairs. Safety screen for parents ease of mind. We stay here too so we care about the details! New beveled glass dining table, new high performance (and quite) toilets, new modern doors throughout!! On top of the new baths and washer/dryer, nearly everything else in the condo was upgraded:-- All new paint, all new furniture, premium mattresses, new appliances, new linen combinations, fun electronic toys, zero-gravity balcony chairs and seating for 8 and a kitchen stocked to make any situation Padre Perfect! We provide a full stocked set of beach toys, chairs, ice chest, massive gas BBQ grill and access to a large EZ-Up beach shade canopy (optional, just let us know) and even a surf-fishing rod for catching lunch (optional, just let us know). Master Bedroom: You may never want to leave! All new premium sleigh king bed with a 'surfs up' motto and new furniture, bamboo roll down main blinds and black-out curtains for a little extra sleep. Direct 9th floor view of ocean and resort grounds. Private bathroom with separate granite sink + all new tiled shower with Kohler fixtures and xtra-room arched shower rods, ultra-quiet toilet. Hanging closet. TV/DVD/Cable. Second Bedroom: All new premium poster queen bed with a 'chill out' motto and new furniture; black out curtains throughout for a little extra sleep. Direct 9th floor view of bayside and SPI bridge. 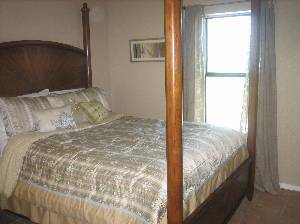 Directly across from shared 2nd bathroom with granite sink and all new tiled shower with Kohler fixtures and xtra-room arched shower rods, ultra-quiet toilet. Hanging closet + direct access to all new washer/dryer. TV/DVD/Cable. Third Bedroom: All new premium queen bed with a 'relaxed modern' motto and new furniture; black out curtains for a little extra sleep. Across from the shared 2nd bathroom with granite sink and all new tiled shower with Kohler fixtures and xtra-room arched shower rods. Hanging closet + direct access to all the provided beach toys, floats, chairs and more. TV/DVD/Cable. Kitchen: Very, very well lit open design with modern recessed lighting, acres of granite countertops to whip up all your favorite drinks, new appliances, glasses, serving ware and sink, brand new and very well decked out cookware. Large bar/serving area with barstools for mingling. Dining Room: Seating for 6 at a modern glass and bamboo-themed ratan that will have you wanting to be the host with the most! Easy view of the 35' flat-screen LCD TV/DVD/Cable/Stereo. Living Room: Super-plush seating for taking naps or hosting a party with new friends. Full view of the 35' flat-screen LCD TV/DVD/Cable/Stereo with connection to your Iphone. Full view of your 9th floor ocean and resort setting that is the joy of the condo. Balcony: Trust us, you will be spending tons of time out here! 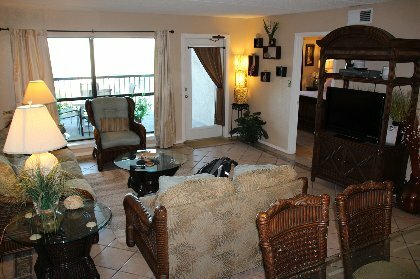 Whether it is enjoying the sunrise in the zero-gravity chairs having a cup of coffee, or enjoying fajitas you just made on a BBQ big enough to feed the whole resort, this balcony is a cornerstone of the condo. Seating for 8 with totally unobstructed views of the ocean, main pool, tennis courts, poolside bar and resort grounds. Safety screen for parents ease of mind. Bathrooms: Both have brand-new tile showers, xtra-room arched shower rods and Kohler fixtures, granite counter tops and uber-quiet toilets. 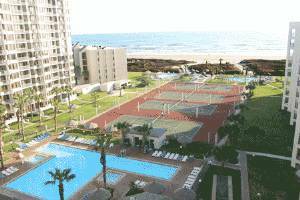 Situated in Saida Towers, South Padre&#8217;s only fully landscaped tropical resort setting, you are moments from one of three swimming pools (one Olympic), four Jacuzzis, four tennis courts, resort poolside bar/snack-bar (seasonal) and, of course, the unbeatable Texas sun and surf. Whether you are sitting on your huge balcony taking in the view of the surf, mixing up a delightful concoction on your premium granite kitchen bar, or are just getting some 'down time' watching a movie (all rooms have their own TV w/Cable & DVD player).... You will be happy here! You will appreciate that we really do go 'all-out' to make your vacation an unforgettable one. Check out the pictures and soon-coming video and book a location that will make your vacation! Go Karts/Scooter/Buggy Rentals, and more! Your View-Olympic Pool (1 of 3 pools), 4 Hot Tubs, 4 Tennis Courts, More! WOW! 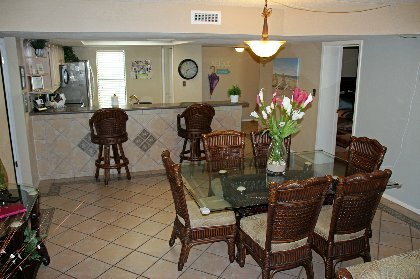 What a wonderful long weekend we had in South Padre at Siada Towers. This condo was meticulously thought out down to every last decoration and detail. The bedrooms are very cozy and the view from the balcony is amazing! We could have stayed out there forever! 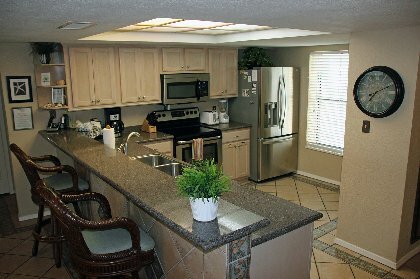 We really appreciated being able to cook meals in the fully equipped kitchen just as if we were at home. The location is great as well… when we wanted to go out and get a taste of the beach town, we were minutes from tons of wonderful options. Truly a birthday to remember, we will be back to this fabulous home away from home!! $90 cleaning fee and 14.5% hotel tax. Dogs accepted - please ask approval. Deposit: Please ask for our terms and conditions. Cancellations and Refunds: Please ask for our terms and conditions.